Roland has always done things by the book, but the book has very little to say about ancient myths and wrathful gods. 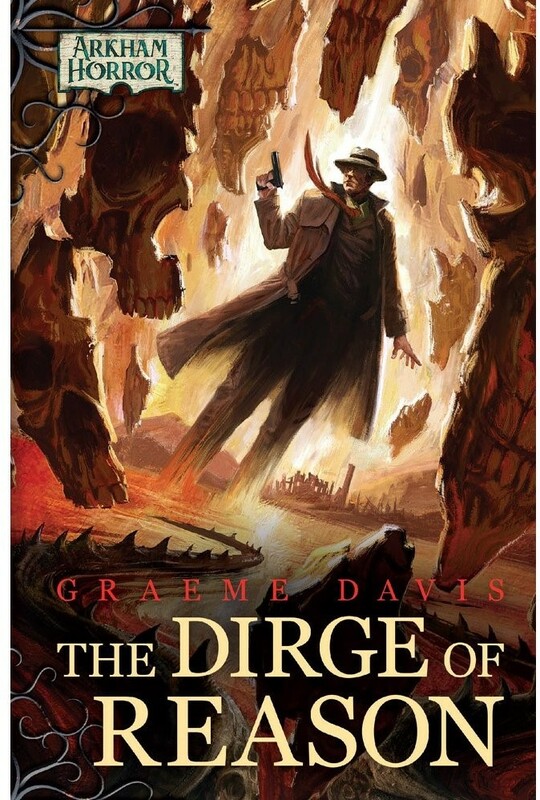 Written by renowned author and game designer Graeme Davis, The Dirge of Reason follows the twists and turns of Roland’s investigation for 96 pages, and you’ll find excerpts of the books, newspapers, missives, and other text related to the case compiled and given a life of their own in a 16-page full-color insert. The Dirge of Reason also comes with five new cards for the cooperative Living Card Game® Arkham Horror: The Card Game, exclusive to this product. These include alternate art investigator and mini cards for Roland Banks, along two new Roland Banks signature cards, which afford players an alternate way to bring Roland into any investigation.